The Berlin Tempelhof airport: for tens of thousands fleeing Soviet communism during The Cold War, departing from this location marked the critical first step into a bold, new future of freedom. The exciting historicity of the locale wasn’t lost on Michelin, the French tire giant that organized the first Challenge Bibendum in 1998 and has held ten since. Bibendum, named for the company’s mascot, is a global transportation event that is equal parts environmental policy conference, mobility science fair, global motor show, and Shark Tank audition. Trade show-style technology displays filled Tempelhof’s old hangers. Futuristic vehicles whizzed along decommissioned runways and taxiways. While never overtly expressed, organizers must have thought that Templehof could once again be a gateway to freedom; freedom from transportation-sourced pollution, dependence on fossil fuels, and road congestion. Demographers and trend trackers predict exponential growth in vehicle ownership in developing countries such as China and India. Those in the know expect a near doubling of the world’s vehicular population by 2030. This equates to nearly 1.5 billion cars and trucks crowding the world’s roads in approximately 20 years. Capitalist immediately recognize the opportunity. Environmentalists immediately recognize the danger. The French industrial giant Michelin sees both, which caused the company to dream up an event where all interested stakeholders can participate. If you’re expecting only slow and boring green cars, don’t. 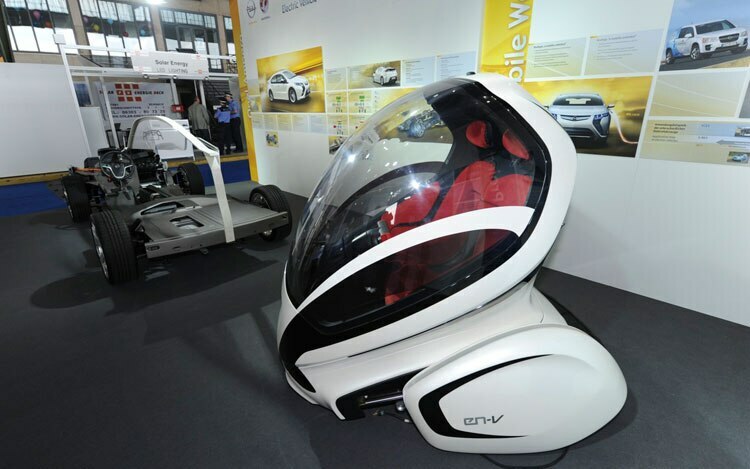 One thing is certain; the future of driving won’t have to be dull. 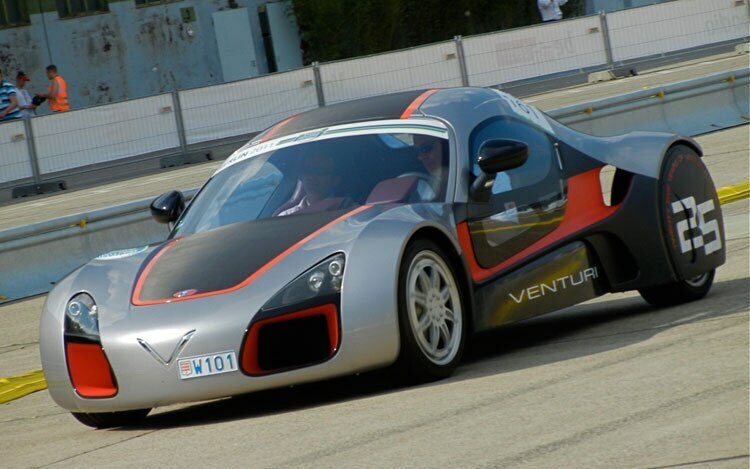 Exhibit A: Crafted in Monaco, the Venturi is a rolling showcase for the firm’s engineering prowess. This all-wheel drive prototype uses Michelin’s Active Wheel technology at each corner. 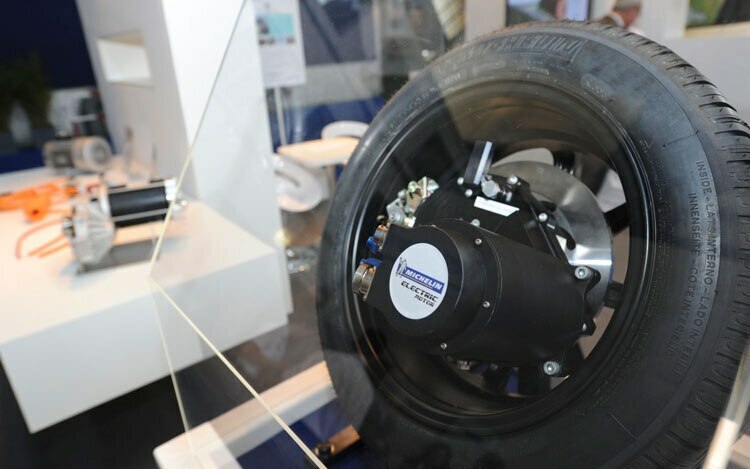 With an eye toward the future, Michelin engineers developed a package that puts active suspension components (dampers and springs) and traction motors all within the circumference of each wheel. The engineering concept makes traditional suspension and powertrain components unnecessary, omissions the tiny Venturi illuminates with its design. From the rear it is especially easy to see that the exterior design is not built around traditional suspension and driveline components. During a ride around a short handling course, the lithium-ion powered Venturi gripped like a limpet on meth. 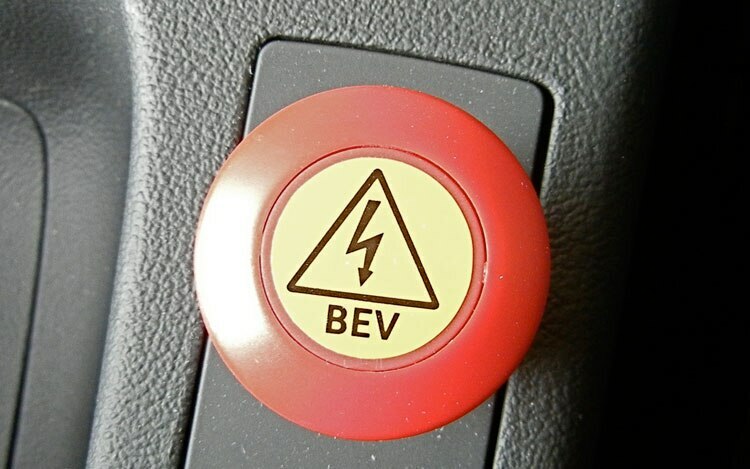 Acceleration is electric-motor strong from the moment the throttle goes down. Handling is completely flat and braking is absolutely dive-free. The infinitely more practical Will bread van also used the Michelin Active Wheel System. The front wheels were full suspension/motor assemblies, making the Will a front-wheel-drive bread van. The rear wheels included only the active suspension components. In normal driving, the Transit Connect-like utility showed modest but acceptable acceleration. The differentiator was the complete absence of brake dive and body roll. In corners and power transitions, the Will felt sporty and totally unflappable. Part of the demonstration driving route included some imperfect pavement, and the active suspension showed that its near-instant response time was more than capable of also delivering a smooth ride. 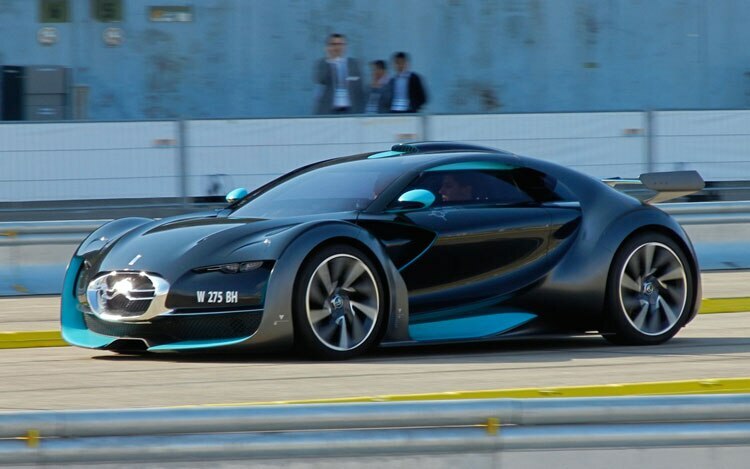 The Citroen Survolt was the second electric sports car we sampled. The car debuted at the 2010 Geneva Motor Show as a non-running, styling concept car. 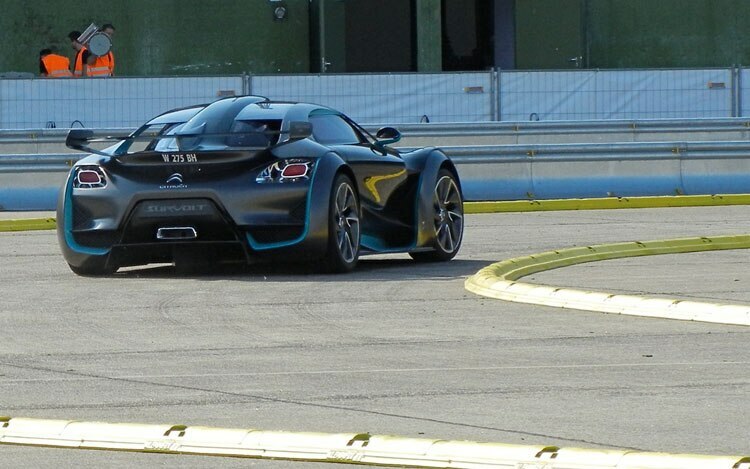 Citroen contracted the Green GT racing team to make the Survolt a runner, and it does. 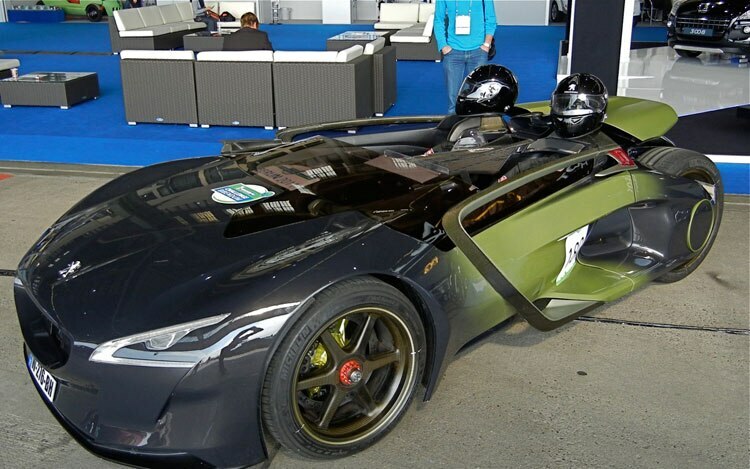 Green GT specializes in electric racecars. 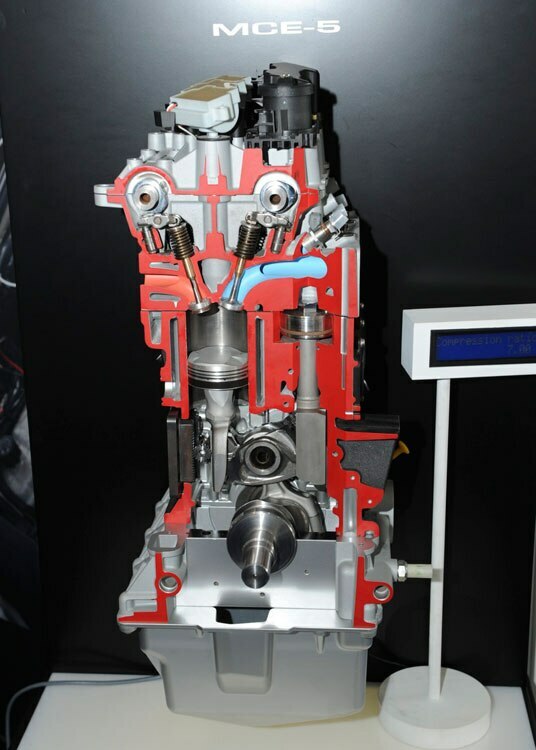 The Survolt project resulted in two major innovations; cooled 400-volt battery arrays that won’t overheat in race conditions, and a combination single-speed (5:1 ratio) step-down transmission and differential unit that helps put down the power from the twin 100kw electric motors. 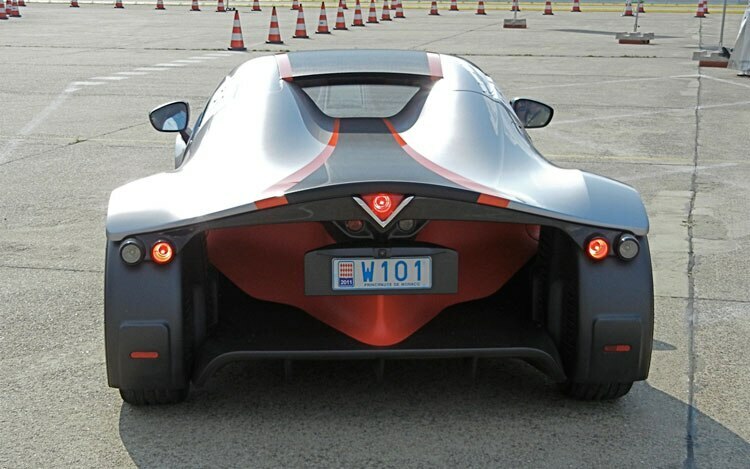 In a brief blast around the test track, the SurVolt drove like a short-wheelbase race car. If the torque delivery weren’t so smooth, the acceleration would have felt more brutal, but the speed achieved on the short straightaway was impressive, exciting, and the least bit frightful. A third sporty EV was the Peugeot EX1, a narrow track, 340-hp rocket. It’s a rolling example of how exciting electron power can be, with proof being a lap record at the Nurburgring’s Nordschleife. 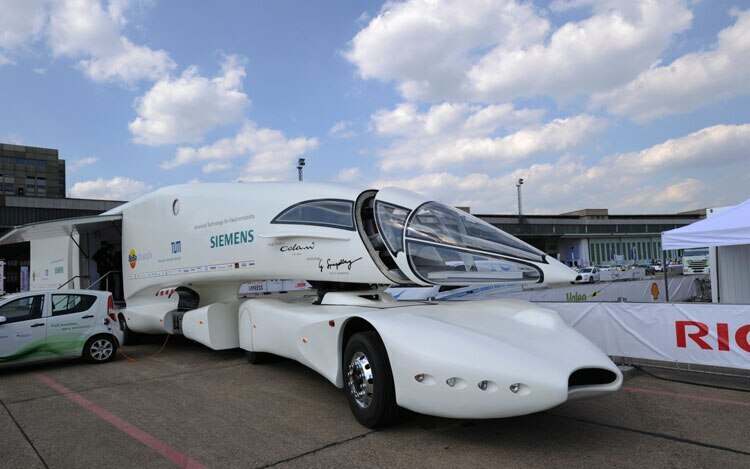 Beyond the prototypes and practical ideas of tomorrow, there were plenty of far-out ideas being driven, and driving themselves, around Tempelhof. You may have seen the General Motors EN-V, a personal mobility pod that’s easily understood as an enclosed Segway scooter but the rider/driver sits down instead of standing. Siemens showed their concept of what a semi tractor could be. The Jeston-like shape positions the cockpit above a powered front tug featuring a series hybrid diesel-electric propulsion unit. Then there’s the E-Tracer, one of the Automotive X-Prize winners ($2.5 million). 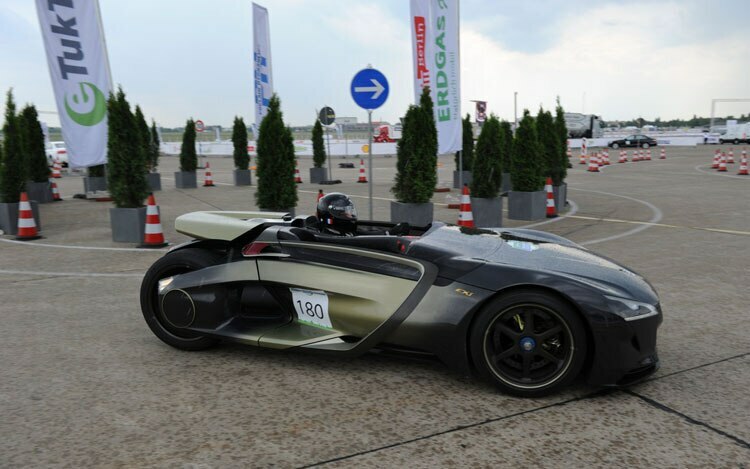 The [euro]85,000 long-wheelbase cabin motorcycle silently glided around Tempelhof’s multiple courses with 205.3 mpg-e efficiency. 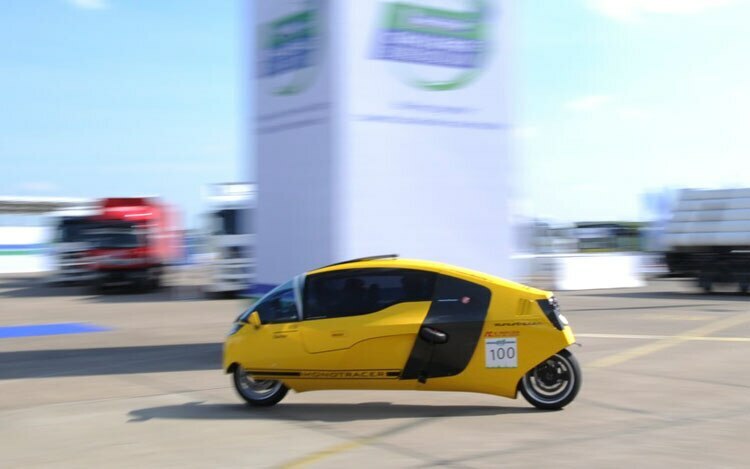 Even after the infusion of the X-Prize money, Roger Riedener of the manufacturer Pevaves AG told Automobile that there are no high-volume production plans for the E-Tracer, something the X-Prize organizers had hoped for from their winners. Inventor Walter Janach drove around Tempelhof in something completely different. 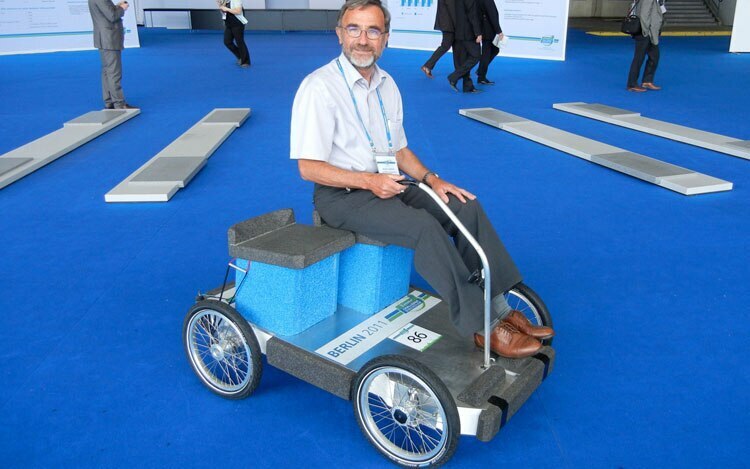 His four-wheeled Unique City Vehicle platform car is built atop a Styrofoam and aluminum sandwich platform and topped with Styrofoam seats. With a tiny electric motor, the UCV weighs just 46 pounds, can drive 15 miles on a single charge with a top speed of 12 mph. Janach believes his creation is just what Chinese consumers will want to replace their bicycles. Look him up if you want to invest. The VIPA was the one autonomous vehicle we experienced at Bibendum. It’s an electrically powered shuttle that drives itself. A driver guides the VIPA until it gets to its fixed route, and then the Kleenex box can drive itself. Laser sensors detect objects to brake for, while TV cameras identify navigational landmarks. The VIPA is intended to be used as a shuttle vehicle at sites where constructing a monorail isn’t viable. As you’d expect, Michelin showed some tires, but not just any tires. The wheelbarrow-like concept tires are designed for urban-cycle EVs with the aim of reducing a tire’s energy consumption. 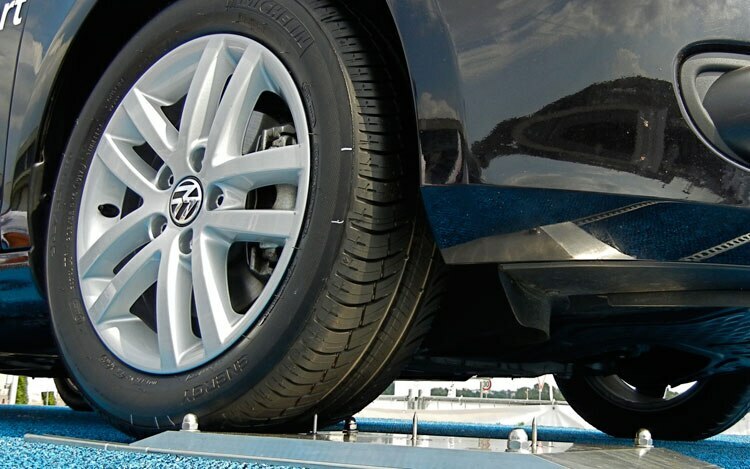 This is key to improving EV performance and range, which the Europeans call “EV autonomy.” The 175/70R10 tire weighs about three pounds less than the 175/65R14 tire it would displace, and requires fewer raw materials to produce while providing longer tire life. Michelin provided a pair of Citroen C2 B-segment cars for Automobile to test back to back. The 10-inch tires provided a vastly superior ride while equaling the 14-inch tire in cornering and steering feel. 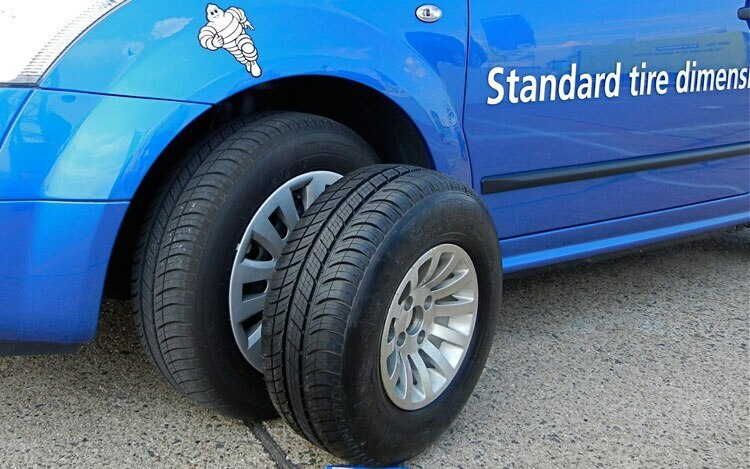 Another tire innovation was the self-sealing tire. Unlike some sealing technologies that feature a liquid-like goop sloping around in the tire cavity, this tire uses a 2-millimeter later bonded into the tire’s construction to seal punctures up to 6-mm. 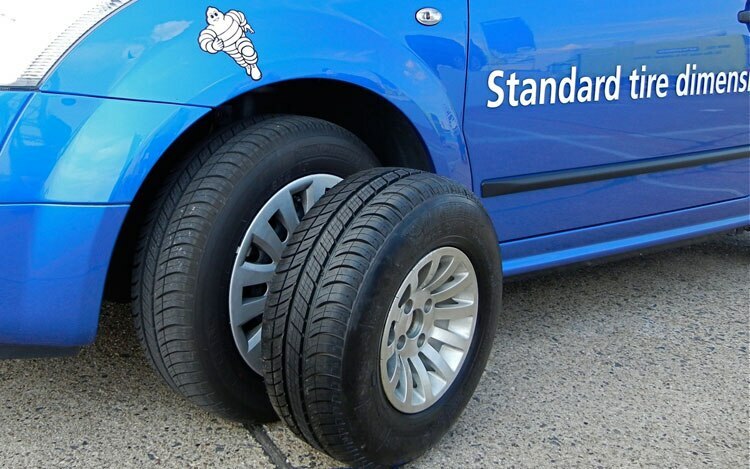 The extra layer does not add significant mass to the tire, so its impact on rolling resistance is minimal. Expect to see this feature in 3-4 years. Michelin has not announced when or where the next Challenge Bibendum might be held. This clearly indicates that the event is skipping 2012 and that we’ll have to wait until 2013 or 2014 for the next one. One thing we can be sure of is that plenty will change in that short time.